Drones are the wave of the future, and they’ve been integrated into dozens of different industries. However, while there are many legitimate uses for drones, they are also seeing increased use by criminals, as well as by terrorist organizations. Especially since drones (both commercial and industrial) are becoming much more commonly available, as well as more powerful with every passing year. So what are nations around the world doing to prevent and fight this new type of technological terror? Well, some of the answers may surprise you. An unmanned drone is controlled remotely, which makes them little more than complicated toy cars capable of flight. And like those simple, remote-controlled toys, the easy way to render a drone inert is to cut off the signal. With no input from the controller, the drone becomes little more than a flying brick. Interference can cause them to stutter and fail, rendering a lethal weapon significantly less dangerous. While it’s unlikely that small-sized drones will be registered, larger, more capable units are going to face enhanced scrutiny and an increased paper trail. This will, theoretically, make sure that only legitimate companies who are using this type of drone for things like surveying, photography, etc. get their hands on them, while stopping terrorists and other criminal organizations from acquiring them. While it might sound like something out of a dystopian fantasy novel, France has been training golden eagles to perform takedowns on drones. According to Fortune, the eagles can reach speeds of 150 miles an hour when diving, and their talons can exert 500 pounds per inch of force. While machines might be our weapons of war, nature seems to have developed more than adequate countermeasures to many small, and even mid-sized, drones. 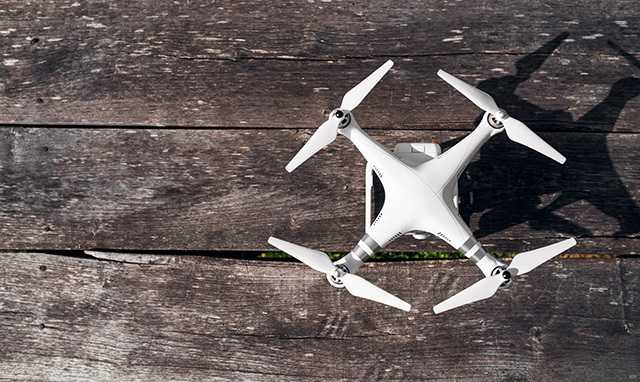 For more information on the latest news surrounding drones, simply contact us today!